When the world is struck with a catastrophic event, the instinct to shield our children from the effects of it is completely understandable. We want them to grow up believing that the world is good and geared in their favour. We also want them to feel safe, and avoiding a discussion isn’t necessarily the way to make this happen. Older kids will know when something big has happened, whether you’re the one who tells them or not. Knowing something has happened, but not having anybody to explain things, is really scary. We all need context and assurance and it’s the facts that provide this. 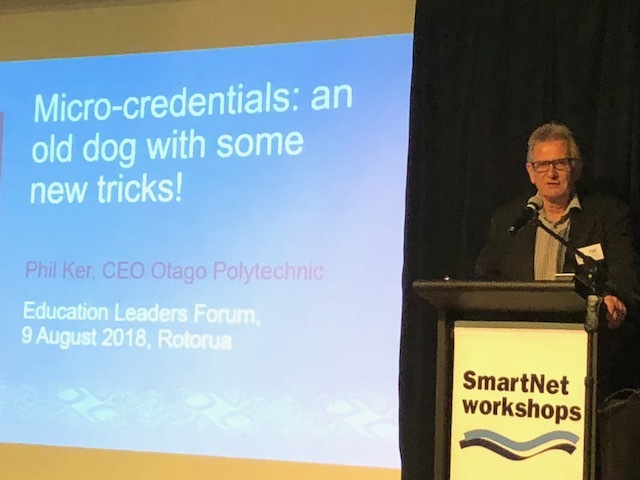 Speaking at the recent 12th annual Education Leaders Forum in Rotorua, Phil Ker, CEO Otago Polytechnic generated interest with his presentation “Micro-credentials: an old dog with some new tricks!” ELF Convener Lyall Lukey explains why. Read the article on Education Central. Addressing the social and cultural challenges confronting our education system is still top of the list before any real traction can be made with other issues begging for educators’ attention. That was one of the main messages to emerge from the Education Leaders Forum in Rotorua. Around 100 education leaders are meeting at the twelfth annual Education Leaders Forum: Valuing Educators & Revaluing Education in Rotorua this week. Forum convenor Lyall Lukey, says: “Valuing educators and revaluing education are imperatives in an age of technological disruption. Teachers are more important than ever as knowledge navigators in an ocean of digital data. A key contributor is Toby Greany, Professor of Leadership and Innovation at the Institute of Education at University College, London and former Director of the London Centre for Leadership of Learning, UK. He will talk on aligning the intersections between education policy, practice and evidence to develop great teaching that makes a difference for student achievement. Dr Annelies Kamp, Head of School of Educational Studies & Leadership at the University of Canterbury will also share her research and learnings on mobilising networks through networks and collaboration. Jackie Talbot, Group Manager of Secondary-Tertiary at the Ministry of Education will speak on working together for children – collaboration between agencies involved with children and young people. Phil Ker, CEO of Otago Polytechnic is speaking on micro-credentials, which recognise smaller yet discrete sets of skills and knowledge. Micro-credentials are enjoying a resurgence worldwide in response to employer demand for training that meets specific skill needs, especially those arising from rapid technological and societal changes. 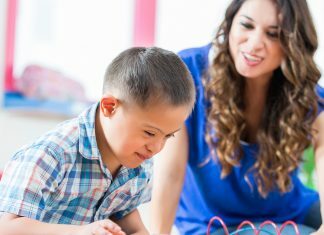 Wayne Wright, Founder and Board Chairperson of BestStart Education and Care Centres and Chloe Wright, Chief Executive of the Wright Family Foundation will lead a conversation on foundation building in the first 1,000 days. Other contributors include: Dr Amanda Lynn of Mandolin Associates on understanding complex human behavioural research in relation to study and work choices; Associate Professor Roberta (Bobbie) Hunter from the Institute of Education at Massey University (Albany) on raising mathematics achievement; Professor Mere Berryman from the Faculty of Education at the University of Waikato on promoting a pedagogy for belonging; Disability Rights Commissioner Paula Tesoriero from the Human Rights Commission on focusing on abilities; and Vaughan Rowsell the founder of Vend and OMGTech! on growing NZ’s future inventors by creating the tech future now. Hon. Tracey Martin, Minister for Children will close the event with Kaitiaki – Government’s role as guardians for children in state care. 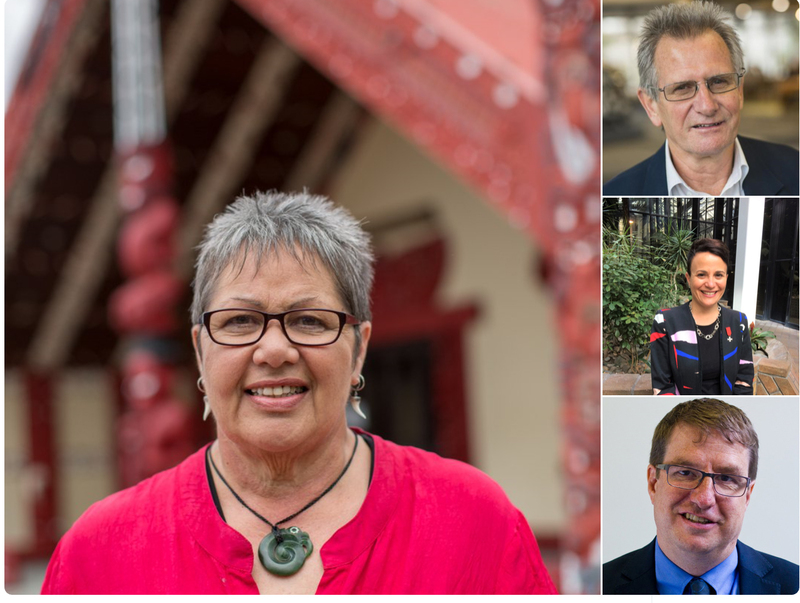 Education Leaders Forum 2018 is supported by the Wright Family Foundation, the Ministry of Education, Otago Polytechnic and the University of Canterbury. We’ve just added some fantastic new speakers to the ELF18 programme and we welcome on board Otago Polytechnic as a Supporter – alongside The Wright Family Foundation, Ministry of Education and University of Canterbury. If the Education Conversation – Kōrero Mātauranga it is to be more than a tick-the-box consultation the dialogue needs to be anchored to a sound evidential foundation. Educators and others now have access to a large body of new information about brain function, how humans learn and effective professional development, among other things…. Beyond talking the talk it is important to think strategically about how to provide those at the learning interface-especially learners, teachers and parents—with the maps, the guidance, the opportunities and the resources to actually walk the talk. More at The May Education Summits: Talkers and Walkers.